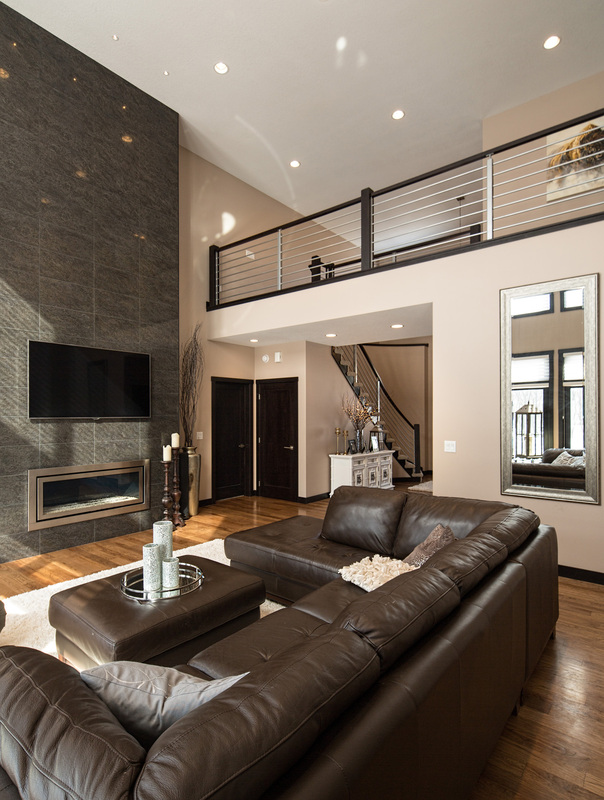 Footitt Homes specializes in the construction of residential new custom homes in the Fargo-Moorhead and Lakes area. It’s an incredible compliment to receive this type of respect from the community considering the large number of builders in the area. It's also a sign the public recognizes there has been a seamless transition over the past 18 months since my dad retired. Our driving force is protecting the family name and legacy my father spent 40 years creating from nothing. He started the company from the ground up in a poor economy with high interest rates (over 12-14%) before retiring in 2013 as one of premier builders in town. Striving for perfection in all phases of the home building process- from unique one of a kind home designs, focusing on low volume top quality workmanship, emphasizing long term structural integrity of the home and going the extra mile for every home owner. There's no greater feeling than receiving letters and texts from our home owners stating 'we exceeded their expectations' and 'they couldn't be happier with their home'. I give thanks to my incredibly talented "team" of carpenters, draftsmen and subcontractors. Experience the difference building with us. Just north of Dilworth, MN on a densely wooded lot, this family of four takes pride in their newly built farmhouse style home. 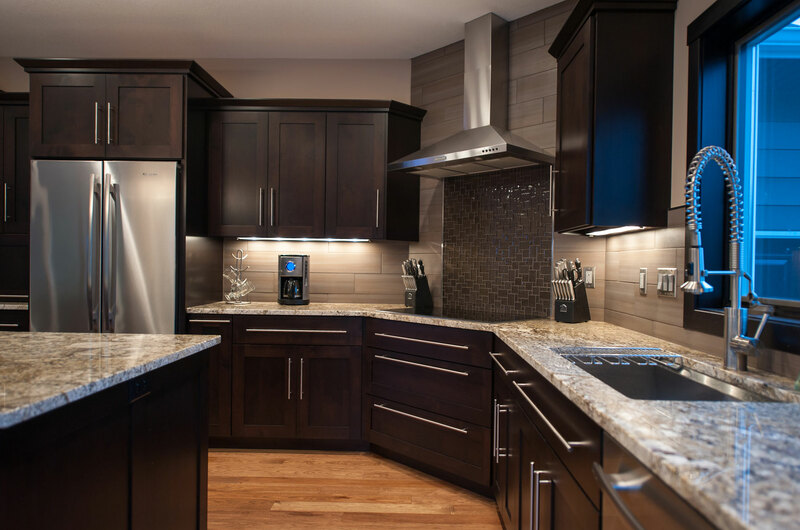 When it came to choosing a builder, they knew they wanted quality over quantity, so they chose Bob Footitt Construction and Footitt Homes to create their dream home. Step into this recently finished 5,258 square foot home in West Fargo's booming Shadow Creek neighborhood and you'll feel like you've taken a step into the comforts of rustic simplicity and the beauty of nature. A local couple knew exactly what they needed when it came time to building a new house for themselves and their three children. 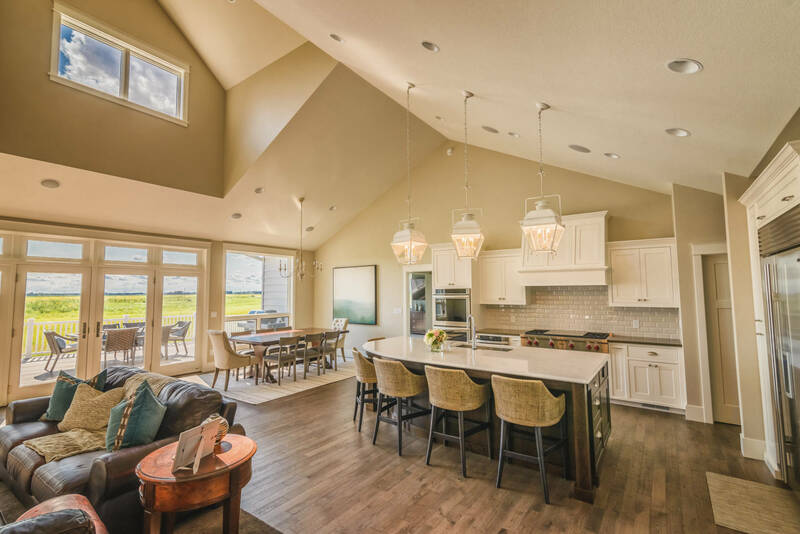 Their stunning rambler in South Fargo, built by Footitt Homes, was completed at the end of May and houses some special features that are more than meets the eye. Footitt Homes specializes in construction of residential new custom homes in the Fargo-Moorhead and Lakes area. We work directly with each home owner to create your own unique floor plan to fit your lifestyle, then guide you through the building material and fixture selection process for items to be installed in your new home. During construction of your new home, we remain in close contact, providing scheduling updates and meeting on site with you several times to ensure the smallest details are covered. Many builders do not allow their buyer clients on the job site during construction. We feel our owners should be able to see the workmanship behind the walls, seeing first hand how well their home is being built. We understand some buyers have never built a true custom home before and may have a hard time visualizing how certain details will look until they see it built or don't realize how a certain product they selected may affect the overall appearance. Our owners get an opportunity to see templates or multiple design options to make the perfect selection. With my father's retirement, "Footitt Homes" was registered in 2013 as our "Doing Business As" trade name and I retained one of the most experienced framing and finish carpentry crews in the business. It is because of their experience, dedication to detail and master craftsmanship that people say "when you walk through a Footitt built home, you can see and feel the difference". As we celebrate my 13th year of home building, I can proudly say I have never built the same home twice.